Another JvB angle for Snooth.com in their low alcohol wine roundup! Check our the original article here, with just my content shared here. In an age where we calculate and coordinate our gym music playlists with our daily steps and caloric intake, wine is one of life’s greatest pleasure that sometimes gets put on the chopping block, especially when alcohol and calories are all under consideration. So here is my low alcohol solution with a top-level moscato that clocks in at a mere 5.5%ABV. Yes, you read that right, only five-point-five percent alcohol! I Vignaioli di S. Stefano Moscato d’Asti 2014 is a DOCG moscato from the Ceretto winery in Piedmont that is great for both your body and your taste buds. A beautiful color of afternoon sunlight and medium straw, the nose shows effervescence, honesuckle, and orange blossoms. In the mouth, delightful and delicate bubbles give way to ripe pear, clover honey, sweet apple, and tangerine. A single five-ounce glass has only 137 calories, gently sweet yet with enough acidity and bright fruit flavors to cleanse your palate beautifully through an entire meal from appetizer to dessert. Beaujolais’ Natural Wine: Pure Grape! M&C Lapierre à Villié-Morgon 2014(Rhone) Morgon, Beaujolais, France. 12%ABV, $28/bottle from Crush Wine & Spirits. I used to enjoy Beaujolais Nouveau, until I tasted high end Beaujolais wines. Once you’ve experienced the joy of a beautiful, pure and clean bottle of premiere cru gamay, it’s hard to go back. So when I received an offer for a Lapierre Morgon, I thought about it for a whopping three milliseconds and made a phone call. Here’s the deal: Mathieu Lapierre is a third-generation winemaker working these 60-plus year old vines. I adored his father Marcel’s work, and the wines have only improved since that time. More importantly, the Lapierre Morgon wines are strictly organic and natural- the bottles I have include the “N” classification on the back label, which indicates that there was no added sulfur, no filtration, and that the wines must stay under 14ºC (that’s 57.4º F). The winemaker goes to extreme lengths to insure the grapes have natural fermentation from indigenous yeast, zero added yeasts. I like to think that Lapierre (and fellow winemakers Jean Foillard & Guy Breton, whose wines are among my favorites from this region) are making Beaujolais the way it was done for thousands of years- in the purest form, little to no interruption of any fashion. I’ll stop waxing about natural winemaking. So you know: it’s just pure grape juice. Fine, now you know. But is it any good? Here’s the kicker: it’s not just good, it’s damn good wine. Color is a classic garnet center with ruby/purple edges. The nose offers up bright raspberry, strawberry, flower stalk trimmings, and hewn gravel. In the mouth: young, crisp, and tart raspberry with bold acidity bathes the palate and holds it tight, tannins gripping the tongue and retaining flavors while a series of mineral notes drill across the back palate, predominantly granite and gravel with schist, limestone, and calcite-heavy clay. Refreshing, bright, and energetic, this is like a shot of sunshine arcing though the clouds to warm your face. Gorgeous, classic cru beaujolais. These wines have great potential to age when stored properly, but rarely last in my cellar for obvious reasons. Quel dommage! This is a wine to seek out for several reasons: 1) if you like Beaujolais nouveau but want to try a cru and up your game; 2) if you are a fan of organic farming and winemaking; 3) if you’re looking for an old-world, old school wine that is fresh, bright and acidic to tear down a savory dish and leave the palate clean and refreshed and ready for more; or 4) if you simply want to taste the beauty of thousand-year old, traditional winemaking with minimal intrusion. The older I get, the more I appreciate the beauty of these wines: a single vineyard pinot noir, a great gamay like this Morgon, a Lagrein, a Nebbiolo, or a Blaufrankish. In each of these I see the potential for singular perfection, bold acidity, and a mineral backbone- a killer wine to complement a great meal. Try one. You can thank me later. Paul Croses Côte de Nuits-Villages 2011 Grand Vin de Bourgogne; Beaune, France. 13%ABV; $20/bottle from Garagiste.com. Color is a translucent and bright ruby with a rose center. The nose shows cherries with a touch of funk, notes of fresh earth with sandstone. In the mouth the palate is rushed with bright acidity, young red cherries and raspberries with a hint of green vegetation, chalk, marle, limestone and cedar plank. The lengthy finish is surprising with multiple notes across the palate: minerality, young wood, dried fruit, and finally some beautiful floral notes that appear almost as an afterthought. A bright, delightful and young Burgundy that to my mouth feels adolescent yet tastes expensive. After a few minutes of air and a third sip, the nose has burned off the dark and earthy notes while the bright, fresh fruit remains. This is a classic, finely made burgundy capable of aging and ready for enjoyment or pairing, still at a far-below-market value, when competitive wines are fetching 2.5-5 times the price. If only I had purchased a case and not a few bottles. C’est la vie, more bottles to taste for my readers, no? If you adore a delightfully bright and focused Burgundy with great potential to age, snap this up or come over and convince me to put a few planks of salmon on the grill and open my last bottle. I’m no stranger to the wine mini-bottle approach, having written about The Tasting Room “A New Model for Tasting: The Mini Bottle” so when Wineist asked me if I’d like to try their model, of course I was interested. The Wineist concept is that a consumer buys (or is gifted ) monthly (either single, six or 12 month) subscriptions which arrive as a box containing six different mini bottles of wine. The package is compact, cheerful and straightforward, designed for simplicity and cost-effectiveness while providing both an attractive and safe-to-ship packaging. I noticed immediately the use of cute subheadings: “Small in size, big in wines.” Upon opening the box, just below the wines is printed: “Start your wine journey”. As an oenophile, already I found this experience fun, exploratory, and exciting. Were I a neophyte to the wine world, it would be even more so. The samples are airline-sized 50ml bottles that pour a 1.75 ounce taste into a wine glass. Accompanying the six samples is a small brochure that offers initial lessons in how to taste and classify your wines, followed by individual details on each sample and winery or winemaker, with a brief description and pairing suggestions. The goal of this packaging is to engage the consumer while developing their tasting profile over monthly subscriptions from which you can then order full-sized bottles. 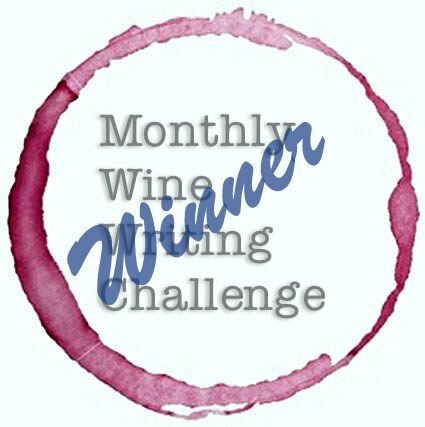 A different monthly theme is created, obviously designed to expose the consumer to a complete view of the wine world instead of finding their immediate comfort zone. The package I received had one wine from Germany, two from South Africa, two from Spain, and one from Italy. They are focused on providing new wine tasting experiences to people who most likely have never seen them before- four of these wineries I had never heard of, only one of these I knew well. So yes, a new way to taste wines that are new to you! An interesting aspect is that the bottles are labeled with roman numerals; the taster is encouraged to take notes in the space provided on the newsprint. The consumer won’t be tempted to ignore the details as it becomes key to knowing what wine one is drinking if they want to have more. Being able to come home from work late a night and find a sample box with six wines surely makes finding new wines easy! Pop a few screw tops, taste a few wines, order a bottle of what you enjoy, and know it will be in your mail in a few days. It offers the customer ease and reduces time constraints with little pressure. On the other hand, unless you share your samples with a friend, the social aspect of tasting is lost, but if that gets the consumer to try several wines from regions that are far outside their comfort range, then why not? Wineist is a start-up company based in Ljubljana, Slovenia. The business model is reported to function as a way for wineries to get greater exposure to buyers (and increase product demand), while simultaneously allowing consumers the opportunity to taste a wide array of wines with minimal liability and expense, thereby removing the wine-store worries a consumer might have that they will have to buy a 750ml bottle of something they won’t like. What remains to be seen is how Wineist determines the likes and dislikes of the consumer. In their advertising, they advertise a unique feature of Wineist as “profiling our subscribers” to “analyze their taste in wine based on their feedback and over time create a unique wine DNA” for better, more personal recommendations, similar to having a personal sommelier. The looming business question for customer retention and continued growth is how the wine DNA will be determined for each consumer? Obviously any time that a customer orders a full sized bottle from Wineist will qualify that wine as a “like”, but what about their dislikes? How do they calculate if the consumer prefers warm or cold climate wines, if they prefer South African or Australian Shiraz, or Italian reds from Piedmont instead of Tuscany? If a consumer has a very narrow range of preferences, will Wineist be able to retain them with an appropriate selection, or keep them interested with a worldly view? If a customer subscribes to a full 12 month set of tastings, one might expect that emailed questionnaires become a key part to finding out that the consumer like samples number 2 and 5 from January and samples 4 and 6 from February, but there is no indication of such a program as of yet. Regardless, I found the Wineist experience both fun and exciting. If I enjoyed it, many other people will as well, and I would suspect that this business venture has a future. Wineist provides another exciting way to try wines from around the world with a unique angle. In a Harpers UK article, Peter Bruner from Wineist was said to have reported that 70% of their then-current consumer base was in the USA, with 15% in the UK. Currently their website has prices listed in Euros, but with more consumers from the West coming aboard, that is likely to change, or become a selectable option if they have a savvy webmaster. Is this the right tasting model for you? How do you feel about mini bottles of wine as a way to try new wines, wine regions, and winemakers? Please share your thoughts in the comments section, below. If you enjoy wine but have not visited a winery, it is high time to plan a trip! Walking through rows of vines, chatting with workers, doing a tasting on premises- nothing else gives you a sense of the wine’s terroir as much as visiting the source. I’m currently looking forward to my wine travels later this year when I take a break for my crazy life working in entertainment and spend some time taking in the sights, smells, and sounds of the vineyards and the tasting tables. Without a doubt, it was Sanford Winery in Santa Barbara County, California. This was the first time I was able to talk in-depth with winemaker Steve Fennel about his vineyard philosophy and methods, and view the bottling process up close. I even was able to taste the wine after cold filtration process. I learned far more about what goes in to making a wine, and how many choices are involved in the wine making process, than I’d ever learned before, from a group of people who love what they do with a dedicated passion. Tasting after cold filtration with winemaker Augie at the Sanford Winery. Château Petit Roubié Picpoul de Pinet 2014, Coteaux du Languedoc, France. 13% ABV, $12/bottle. Made w/ organic grapes & certified organic by Ecocert France SAS. I’ve been looking for a wine like this for a while. No, it’s not a wine where the initial taste blows me away and it doesn’t remind me of a special time in my life. Instead, this is a delicate wine that is designed to pair well with food. As a matter of fact, I would not suggest you enjoy this wine on its own, as it would not show as well as it can with grilled or raw fish, especially shellfish, and similar lighter fare. Color is pale straw with a green tinge and the nose offers wildflowers and lemon zest with hints of petroleum and raw steel. In the mouth, the fruit is citrus in the mid palate with strong acidity on the side and back palate. The finish is clean with tangy citrus, while a touch of fresh heat crosses the top palate and a surprising line of minerals that mixed and confused my palate: silica, schist, flint, marl, clay, halite, limestone, & sandstone. What a wine for ceviche, raw seafood, sushi, and gently cooked fish, or grilled chicken, or for your vegan friends, a plate of grilled asparagus and greens! This is a wine I’ve wanted so many times when I’m cooking a delicate fish course and I wanted a neutral, complementary wine, not a big bold fruit up front new world wine or a super expensive white burgundy. For a choice that is certified organic, made with organic grapes, and a great complement for delicate food, I did not expect this to come in at under $14. But it did! I’ve had plenty of great surprises from the Languedoc region, so why not a picpoul blanc? Don’t believe me. Find a bottle and taste for yourself as long as you pair it with something light and fresh. You can thank me later. I’ll be finding more of this to stash for future meals, and bringing a few with me to the beach house, pre-chilled, twist-off tops ready for dinner service.